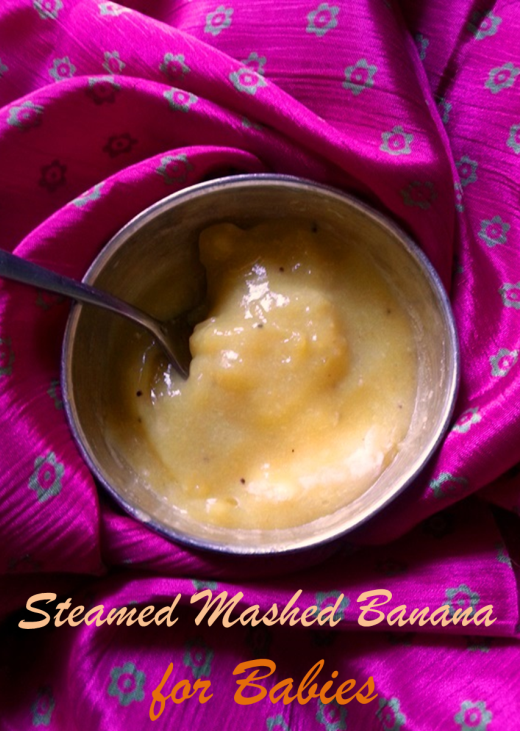 Mashed bananas make a great baby food. Specially when it is steamed. It has tons of potassium in it..Very healthy..
Yeah, Banana is a great fruit for babies. You can include it with milk. That would be a delicious banana custard. I feed my baby natural juices too. If your child eats fruits and green vegetables then he will have good digestion and better immune system. She got her First Teeth!